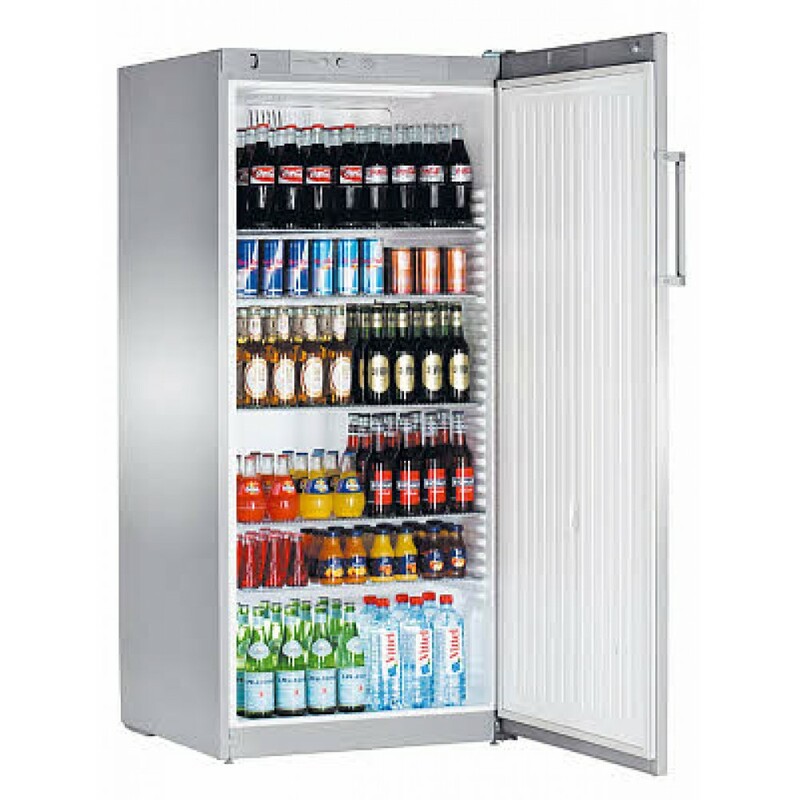 Liebherr’s forced-air universal refrigerators are ideal when fresh goods have to be chilled fast. For example, large quantities of cold drinks can be chilled and sold in a much shorter time than in a statically cooled refrigerator. This refrigeration system keeps a uniform temperature and the humidity constantly high throughout the interior. Liebherr’s forced-air universal refrigerators are ideal when fresh goods have to be chilled fast. For example, large quantities of cold drinks can be chilled and sold in a much shorter time than in a statically cooled refrigerator. This refrigeration system keeps a uniform temperature and the humidity constantly high throughout the interior. The temperature can be set between +1°C and +15°C. The powerful forced-air system ensures that fresh food is chilled quickly and that the temperature remains even throughout the interior. The door-operated fan cut-out switch saves valuable energy and prevents warm outside air from flowing into the appliance. The glass door models are equipped with inno vative LED lighting technology. This guarantees particularly high brightness and colour constancy over an exceptionally long life cycle. 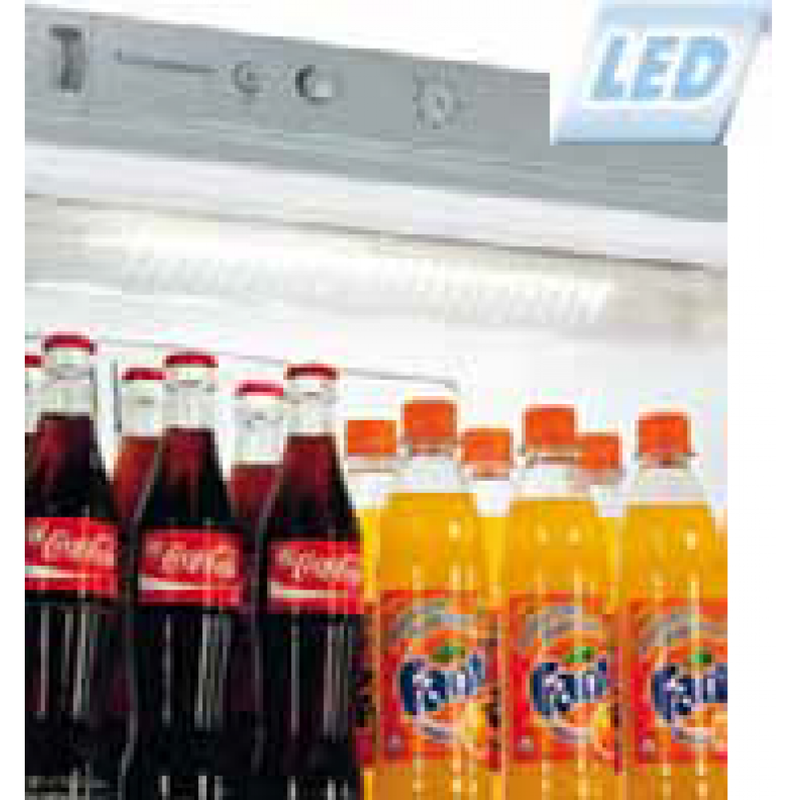 The very low heat generated by LED components in the interior also helps in reducing energy consumption perceptibly. The retrofit illuminated display for the 60 cm wide FKvsl models effectively draws attention both to the appliance and its contents. The display field design can be easily customised to suit individual needs.